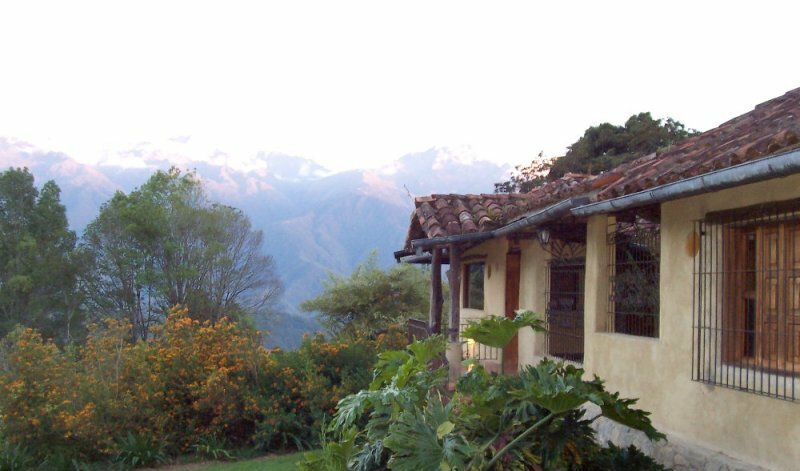 Located just 15 minutes by car north of the city of Merida, via El Valle-La Culata at an altitude of approximately 1800 meters (16,000 ft) with a mean annual temperature between 10 and 15 ° C (50-62 ° F ) on the night and 15 to 25 ° C (62-77 ° F) during the day. 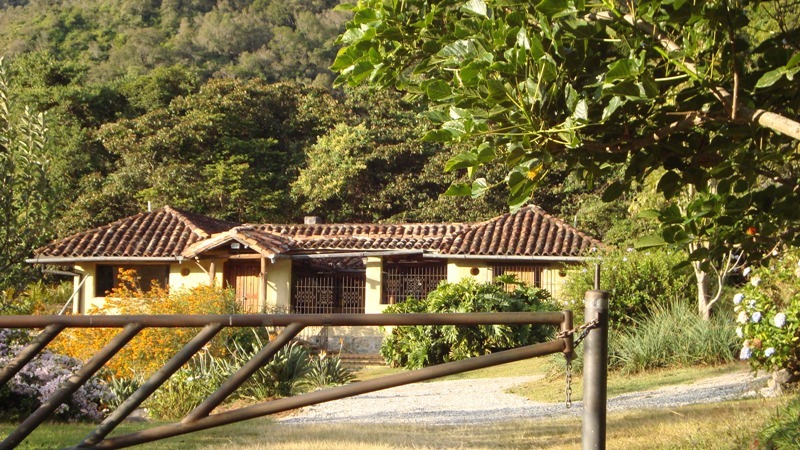 It is located on a tract of land of 2 hectares (about 5 acres) and in turn belongs to the Hacienda Quizman. 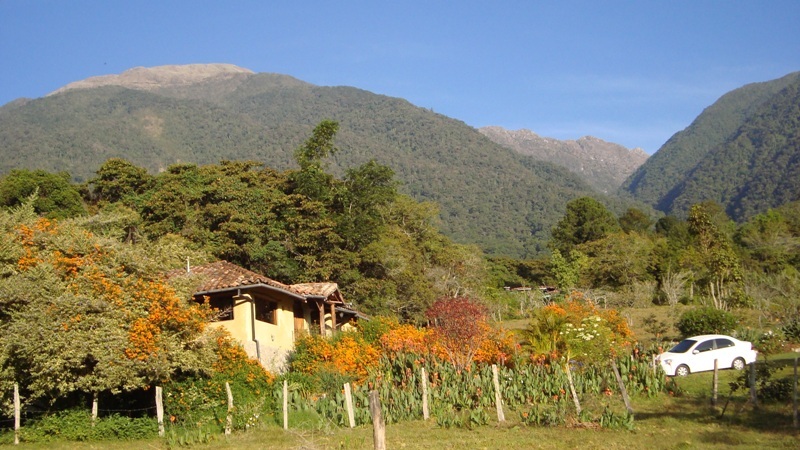 The land bordering the creek "Valencia" born in "The Lion Páramo ... all these lands are classified as Environmental Protection Area and are part of the "National Park Sierra the Culata. 1 .- The house itself, with capacity for 9 people (plus a sofa bed). * 3 rooms with double bed and private bath each. 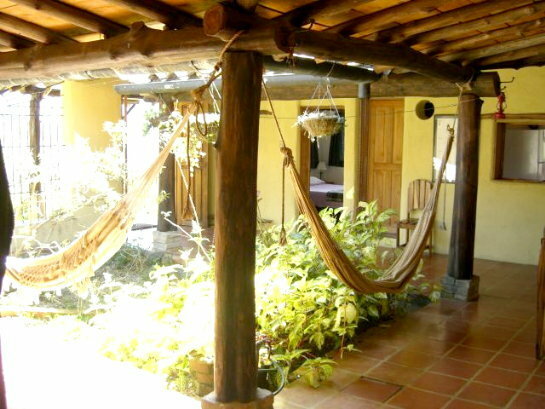 * Courtyard with brokers (2 hammocks). * Direct T.V., D.V.D. in the room. * Ample parking lot(3-5 vehicles). Whit security door. 2 .- A study for up to 2 people (plus a sofa bed). * A room with one bed. * Fireplace and Portable barbecue. * In the Living Room Direct T.V. D.V.D and Boom box. Vía La Culata, Urb. Los Pinos, Zona Militar. Situada a solo 15 minutos en automóvil al norte de la ciudad. Copyright: Estancia Las Piedras, Hospedaje y Promoción por Turismo Andes.net. SRL..